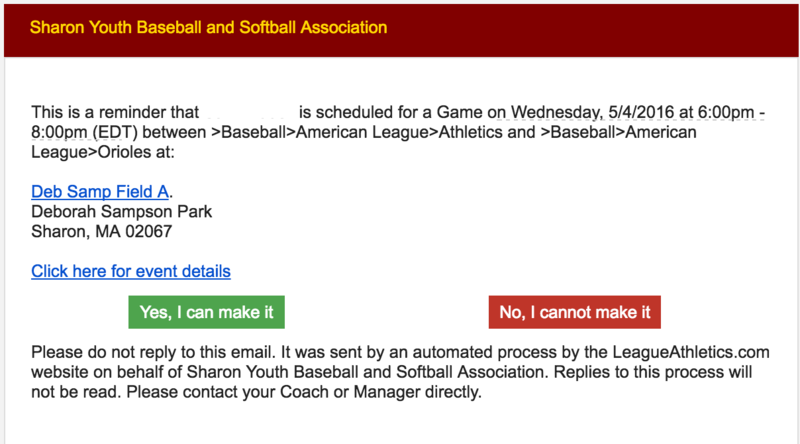 Game and practice reminders are automatically sent to parents (as long as they have not disabled emails from SYBSA). If parents simply click on the "Yes, I can make it" or "No, I cannot make it" button, their response is recorded in the system. 6. Click submit to confirm changes. 2. Select your team as outlined in Step 3 in "How to Email Your Team"
6. Click to make sure you are on the pitching tab. 7. Check the "ATN" box for all players who pitched in the game. Then enter the total number of pitches thrown. 4. From the left hand menus click on "Roster"
5. Use the "Options" link on the top right side of the page and select "Email Team"
Check out this power point presentation for clarification on some commonly misunderstood Little League baseball Rules...click here. Field Equipment Manual *- Description of all the equipment that is available for coaches to use during practices. Please remember to return all equipment to it's proper location and if anything isn't working/located where it should be, please let League Coordinator know.